Got the truck back into a Roller this morning. The motor is now tore down and at the machine shop. 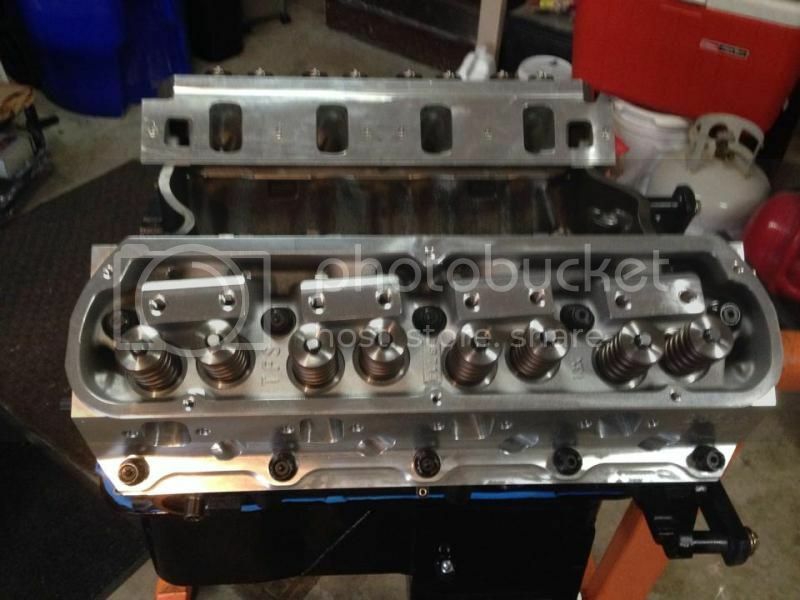 Going to a 408 with TF heads and a punisher transmission. That will be one fine Gen 1 when you are finished with it! Keep up the good work and the pictures. Finally got my Rotating assembly in. It just got dropped off at the machine shop so that they can get my block finished. Went with a 408 kit from Probe over a Coast High Performance. Going to now go with TEA TF 205 TW heads. It seems that the Stroker Kits have really gone up in price! If you don't mind telling, what did you have to shell out for your kit and what did it include? Here is a link to the info. I paid just a little over 2k after my Forum discount,balancing and shipping. Went with 30 over pistons. 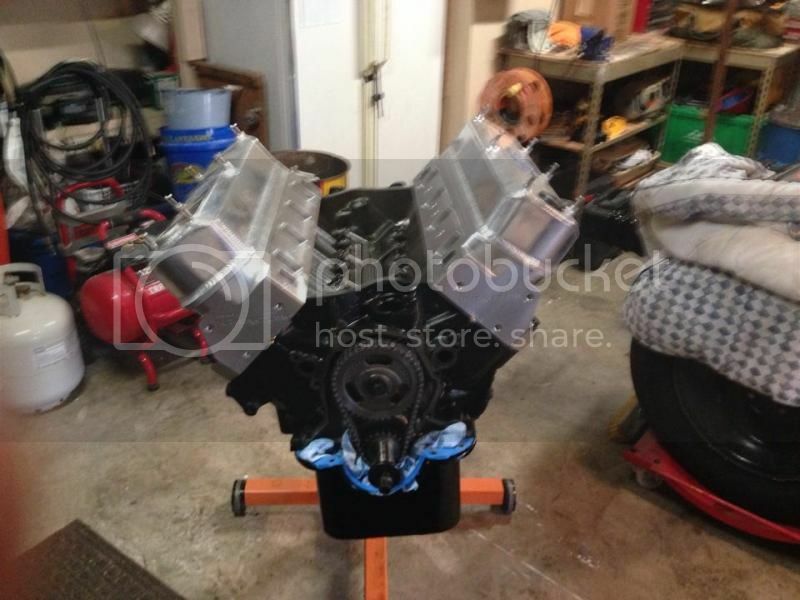 Seems like a few years back you could buy a nice 408 Stroker kit for around $1200! Have they gone up that much? I was told the other day that the kit was just under $2000. I guess it has something to do with the price of metals going up but not sure. Finally got my block back yesterday, still needs some paint. Hope to have the bottom end together next week. Its been a while since I posted up anything. I have the bottom end done,cam,timing chain,lifters installed. Have TF twisted wedge heads waiting to go on,Edlebrock lower intake being smoothed out. I also have March pullies,ATI dampener, 1.72 Rockers, rocker stud girdle. Going to now go twin turbo instead. Going with a Aeromotive stealth fuel pump setup. Still have a little work before it goes to paint. Going to be installing a Fast system and a US shift to run the transmission. Well I am now going twin 67mm turbos. Picked up a A1000 fuel pump,adj. FPR,inline filters,sump rear tank. -8 fees and -6 return fuel lines. Got a set of 80# fuel injectors on the way. Waiting to hear on my converter from the guys at Circle D.
Got a little time this week to work on the motor. Got the Heads on and torqued down, got to get a shorter push rod checker this week. Hope to get the lower intake back very soon. Its getting the chambers smoothed down for better flow. 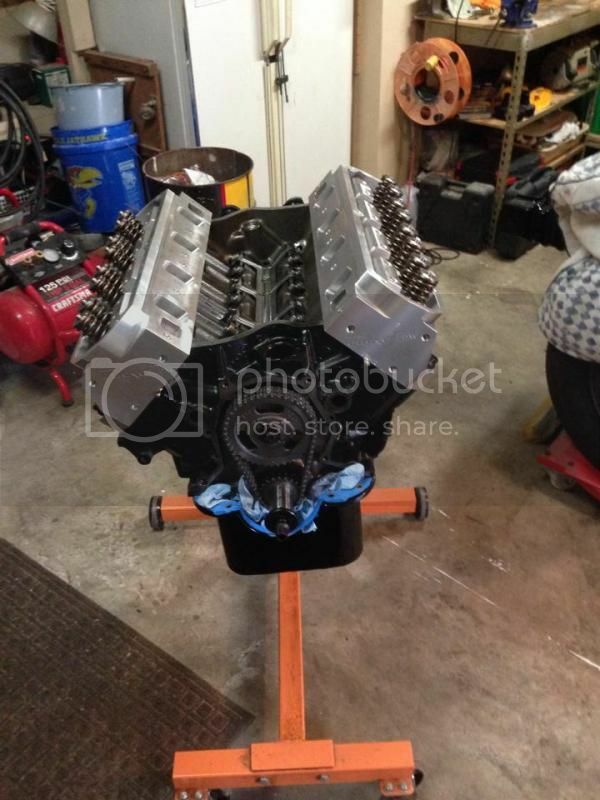 I hope to drop the motor in in a few weeks to check for fitment with the Air box and the Valve covers I got for it. Ended up going -8 and -10 lines for fuel.